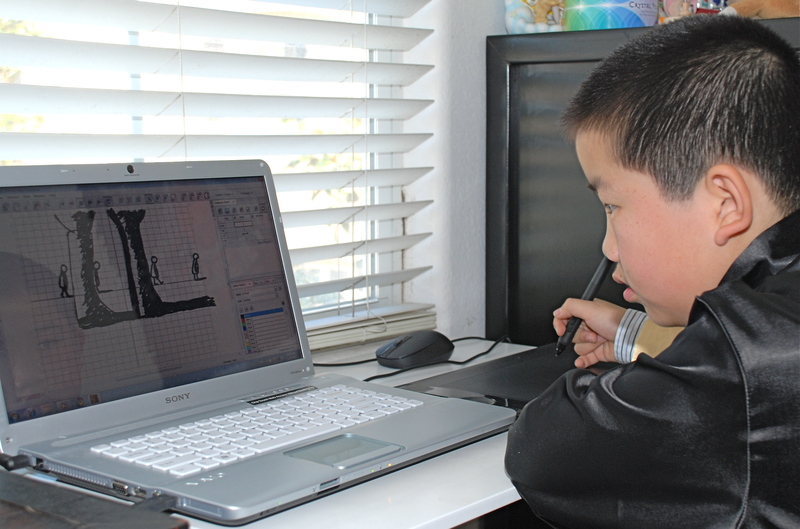 Los Angeles, CA and Long Island, NY, Sept 20, 2011 – The Holocaust has been treated by almost every medium, but rarely animation—and never by a child animator—until now. Ingrid Pitt: Beyond the Forest, animated by 10-year-old filmmaker and award-winning critic Perry Chen, has been acquired for worldwide distribution by Shorts International, the distributor of Academy Award-nominated shorts tours for the last 6 years in theaters, inDemand!, and on iTunes and ShortsHD TV in over 100 markets. Perry finished the animation as a 5th grader and is now 11. Oscar-nominee Bill Plympton provided the storyboard, with Kevin Sean Michaels as director, Holocaust historian Dr. Jud Newborn and Perry’s mother Dr. Zhu Shen as co-producers. 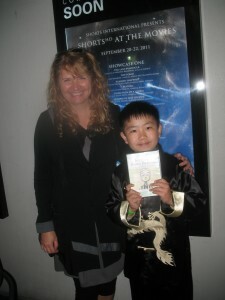 Following the film’s enthusiastic reception at its world premiere at the LA Shorts Fest and San Diego’s Comic-Con in July 2011, Ingrid Pitt: Beyond the Forest (http://ingridpitt.co.uk/) is included as the only animation film in the “ShortsHD at the Movies,” a night of short films that will not be short on star power, presented by Shorts International at the CGV Cinema in Los Angeles on Sept. 20-22, 2011, along with 11 other short films. Perry Chen, co-producer Dr. Zhu Shen and Perry’s father Dr. Changyou Chen, will attend an invitation-only Premiere Reception with Press & Filmmakers on Tuesday, Sept. 20, 6:30pm – 8pm at CGV Cinema, an event to spotlight some of the year’s best short filmmakers and actors, immediately followed by the public screening of the 12 shorts in two showcases. 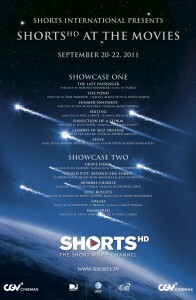 Ingrid Pitt: Beyond the Forest is in “Showcase 2” of the program. 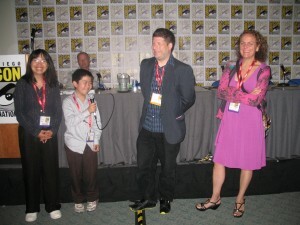 Interested press should immediately contact Melissa Del Valle (310-829-6815) at Shorts International’s LA office for credentials, deadline noon Sep 20, 2011. ShortsHD™ is the first high definition channel dedicated to short movies and is available on DIRECTV (Channel 568), Dish Network (Channel 375) and AT&T U-Verse (Channel 1789). 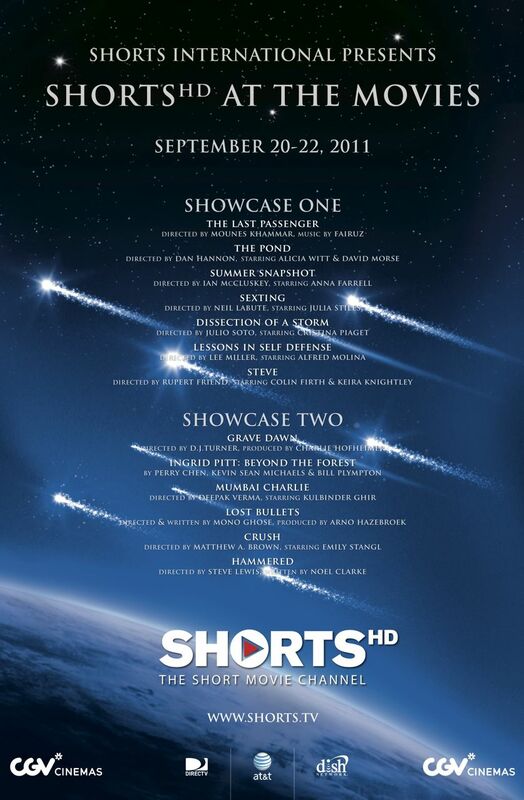 ShortsHD™ is operated by Shorts International, the world’s leading short movie entertainment company with the world’s largest movie catalogue dedicated to short movies. Shorts International also operates ShortsTV™, which is available in France, Belgium, Luxembourg on Numericable (Channels 134 and 52) and in Turkey via TTNET’s Tivibu service. Shorts™ is the short movie on-demand service available on iTunes movie stores in the US, Canada, Mexico, Japan, Taiwan and throughout Europe. The company is headquartered in London, England with additional offices in Paris and Los Angeles and is led by Carter Pilcher, Chief Executive. 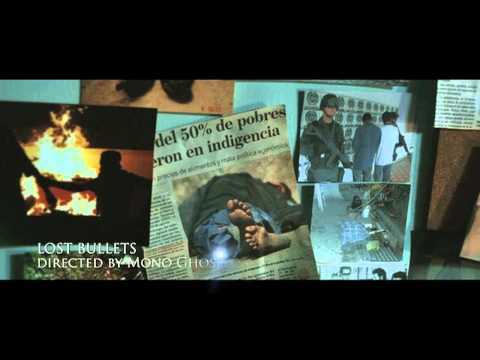 Shorts International is owned by Shorts Entertainment Holdings and Liberty Global Ventures. VAMP Productions was founded in New York in 2005 by the husband/wife team of Kevin Sean Michaels and Theodora Michaels. The company’s first film, the documentary Vampira: The Movie, was released by Alpha New Cinema in 2008, received extensive press and won the Rondo Hatton Classic Horror Award for Best Independent Film. In 2010 Alpha New Cinema also released their second documentary, The Wild World of Ted V. Mikels, about the grind-house filmmaker. “Ingrid Pitt: Beyond The Forest” is their first animated short film. 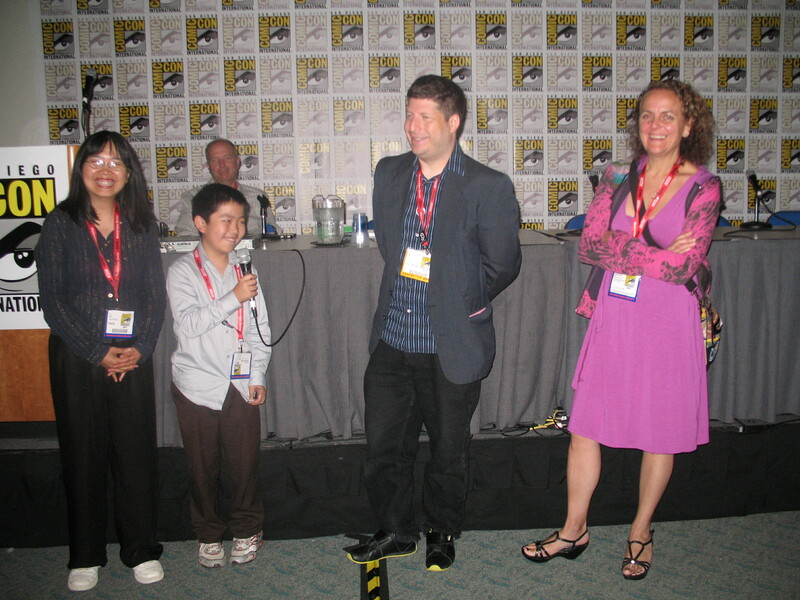 Perry S. Chen is an award-winning child film critic, artist, and animator, currently in 6th grade from San Diego. 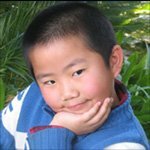 He started reviewing movies at age 8 in 3rd grade using a kid-friendly starfish rating system, and has been featured in CBS, NBC, CNN, NPR, Variety, The Guardian, The China Press, etc. 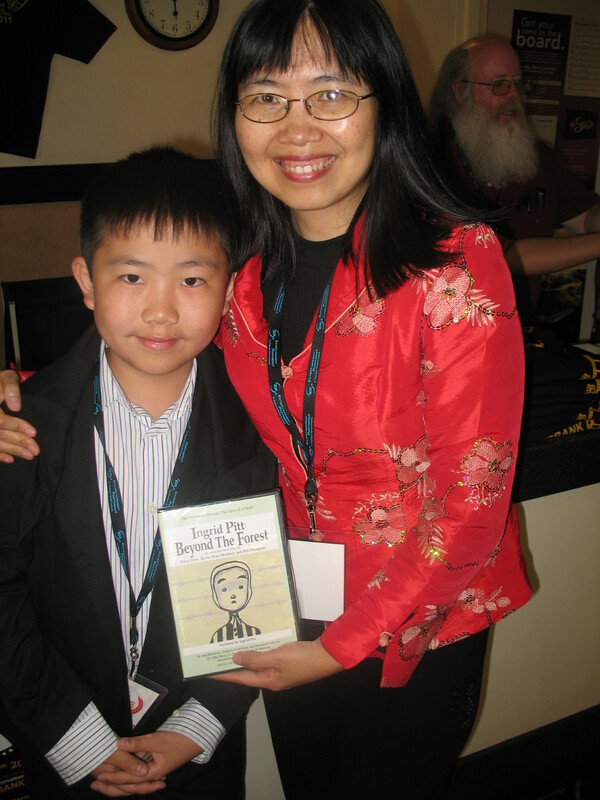 He writes movie reviews for Animation World Network, San Diego Union Tribune, Amazing Kids! Magazine, and his own Perry’s Previews blog. 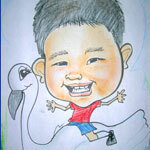 (www.perryspreviews.com) He won an “Excellence in Journalism Award” from San Diego Press Club in 2010. “Ingrid Pitt: Beyond The Forest” is Perry’s first film as sole animator. 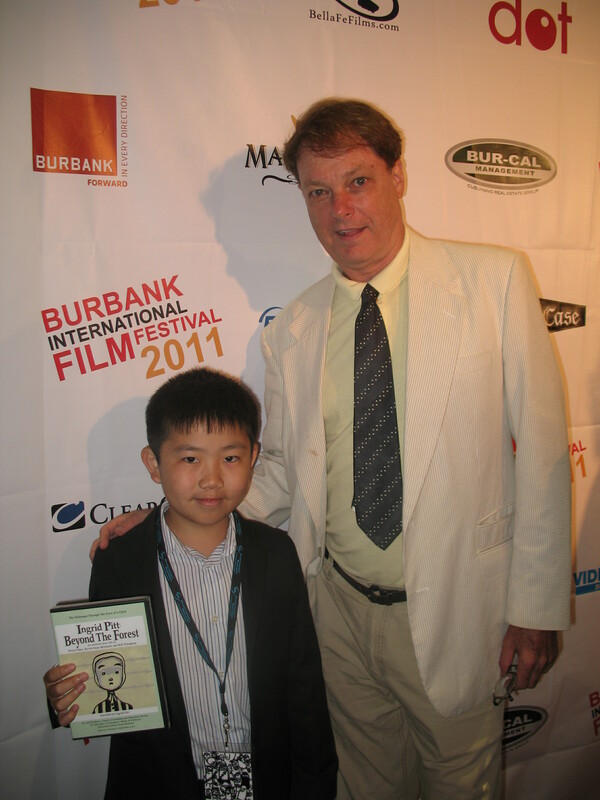 He also animated one scene in Bill Plympton’s award-winning “Guard Dog Global Jam.” Perry and his mom Dr. Zhu Shen are featured in a new book about parenting and youth entrepreneurship “The Parent’s Guide to Raising CEO Kids” published in Aug 2011, available on Amazon.com. Premiere Reception with Press Tues. Sept. 20, 6.30pm- 8pm. Bringing Ingrid Pitt: Beyond the Forest from idea to reality has been tremendously rewarding for the entire filmmaking team. But there is much more work to do. In Perry’s own words: “We appreciate the generous support from all of you who would like to donate, and do everything to get the lessons of the children in the Holocaust to the entire world!” Individual donations of any amount are deeply appreciated. Corporate Sponsorships are also available: Corporations and not-for-profits will find joining this important film effective for high visibility and generating unparalleled goodwill among the broad public as well as with key targeted populations.